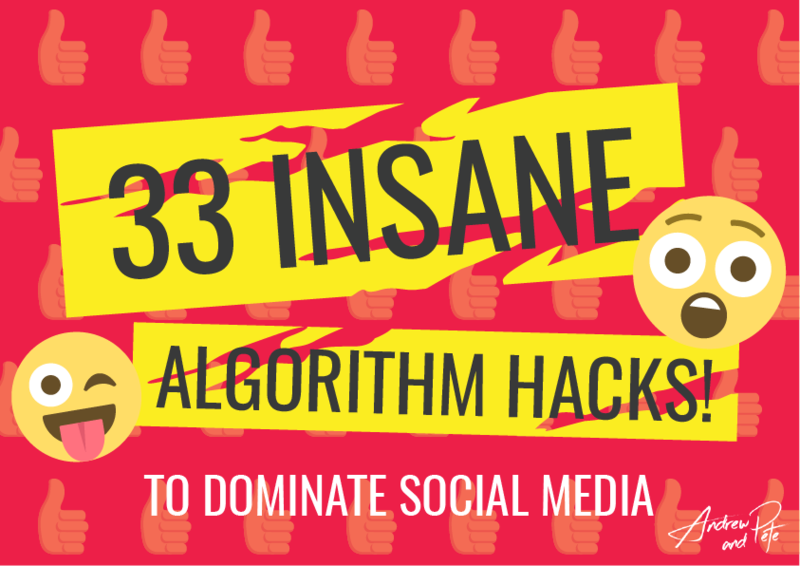 In this ebook we break down 33 content ideas, designed to HACK the algorithms, guaranteed to get you extra reach across all your social platforms. And you can literally steal them all for yourself. If you've ever got to that point on your to-do-list which says 'write blog' and you've ended up staring at the screen for ages thinking what to write... this will help!! 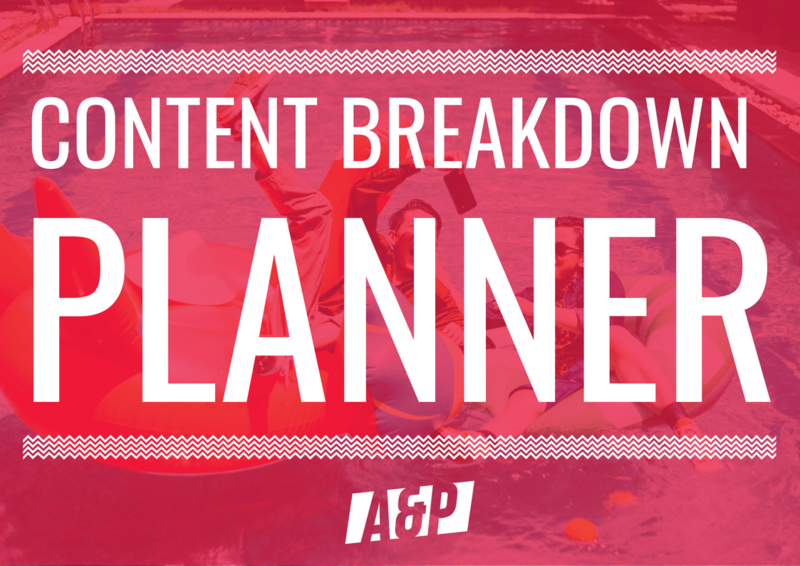 This content planner will help you map out your content and break it down so that when it comes to writing your blog, video scripts or recording your podcasts - you can just hit the ground running. 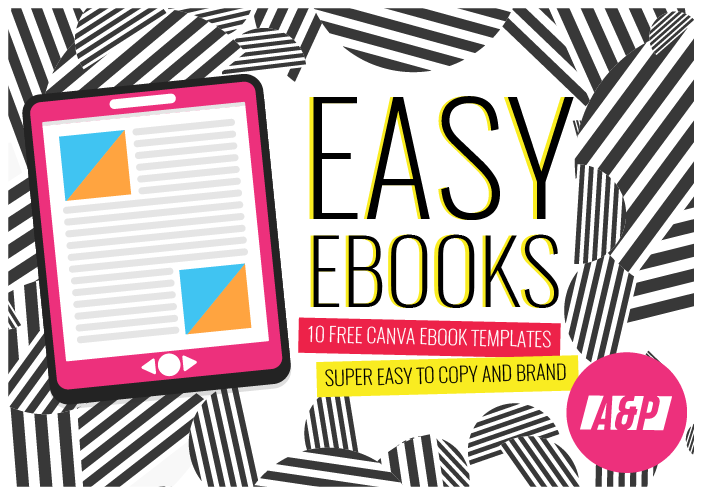 Using our '3 Template Pages' approach as, just copy our 10 templates into your own Canva account and duplicate and rearrange pages - adding in your own brand colours and text to make a beautiful ebook you can use as a Lead Magnet, Printable Brochure or even a product. The download comes with an instructional video to show you how easy the process is. 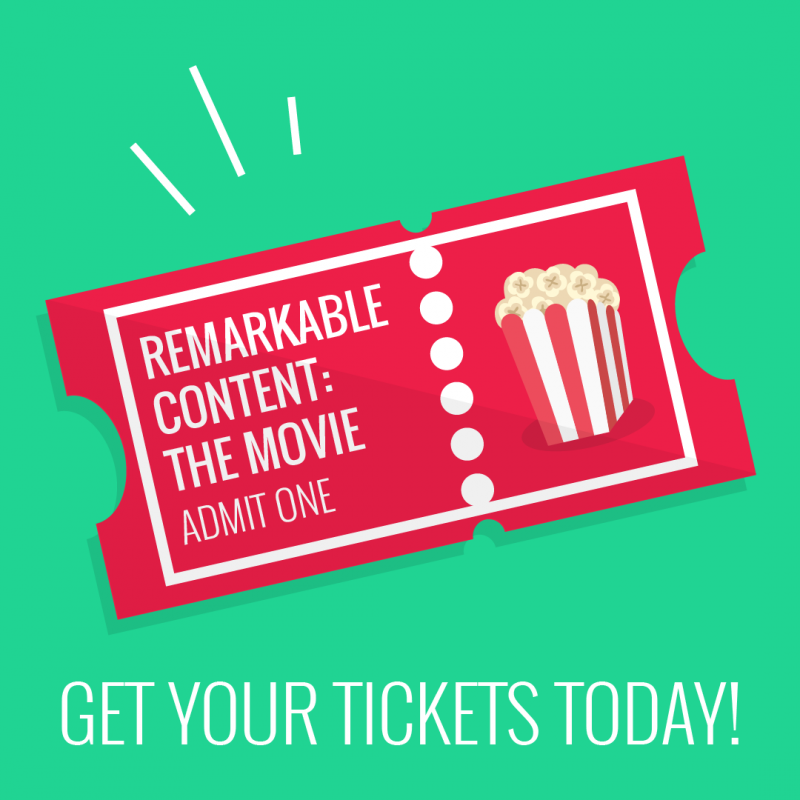 In this free "webinar movie" we show you how to build your brand with amazing content marketing. We talk about the type of content you should be creating, how to make it unique, how to get organised to get it done, how to turn content into leads, and so much more! 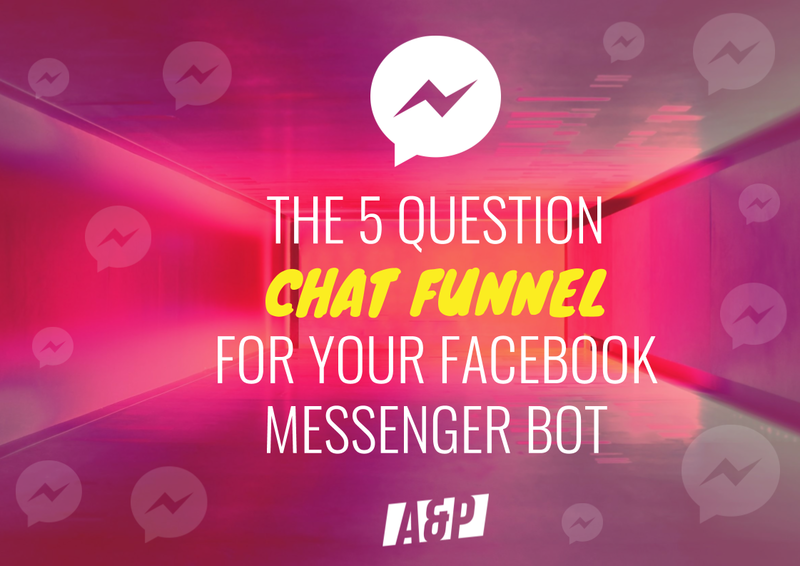 In a world where blogging is no longer novel, you need to create blogs that get attention, say something about your brand and actually lead readers to sales. 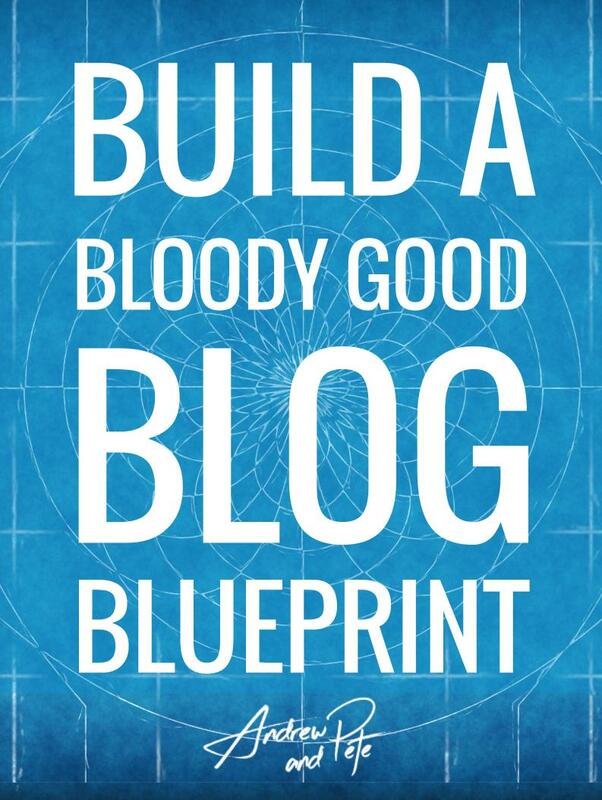 This blueprint will give you an effective blog plan, to write your best blog yet. Publishing a blog is just step 1, now you have to drive traffic to it! 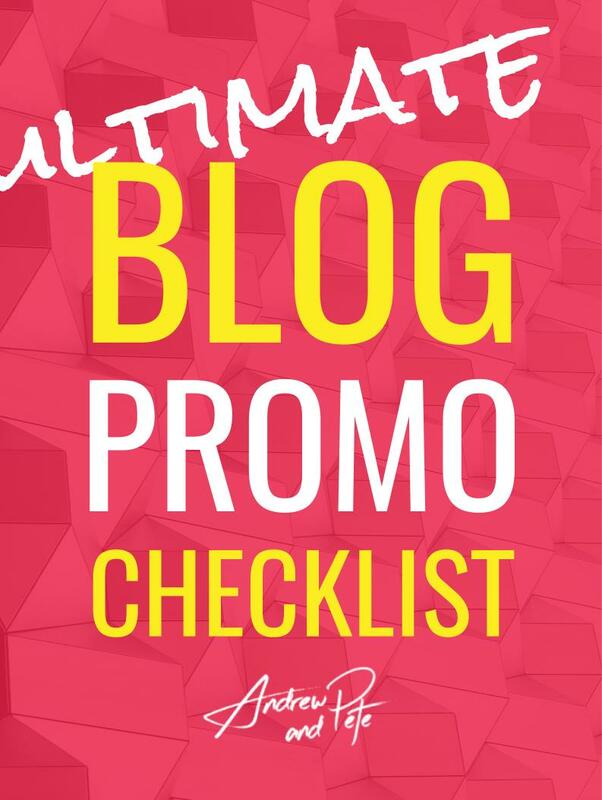 In this checklist we give you a printable checklist of what you should do AFTER you hit publish, to ensure your blogs gain maximum exposure. 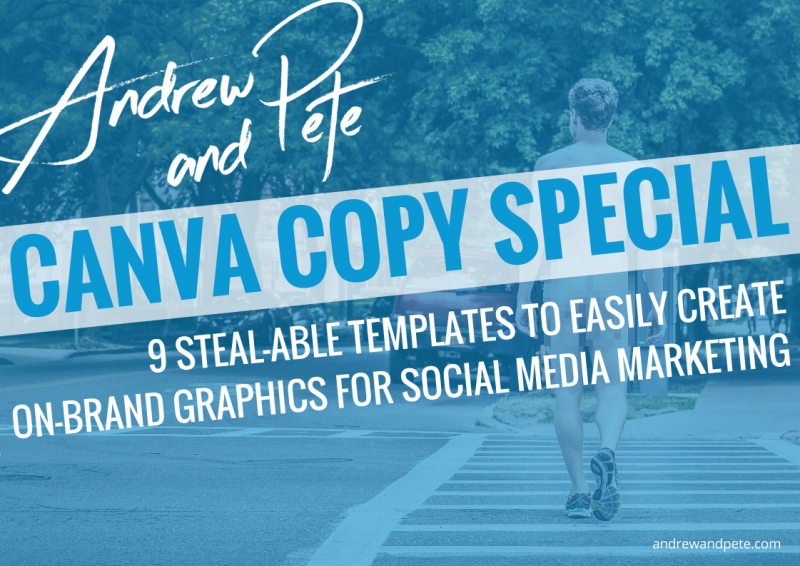 In this document, we show you 9 easy step by step ways to create lots of different styles of Social Media Graphics on Canva. So if you're not a designer, just follow these instructions and you can't go wrong. All easy and all free. This is an inspiration book. We teach you need to be different, but if you need some ideas, then this is for you. 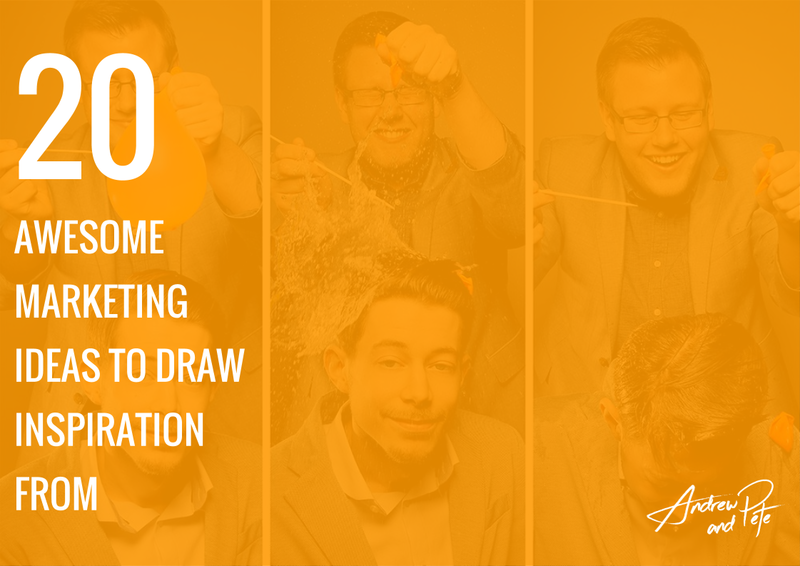 20 of our favourite marketing ideas from businesses of all sizes. There's something in here for everybody to get inspiration from. 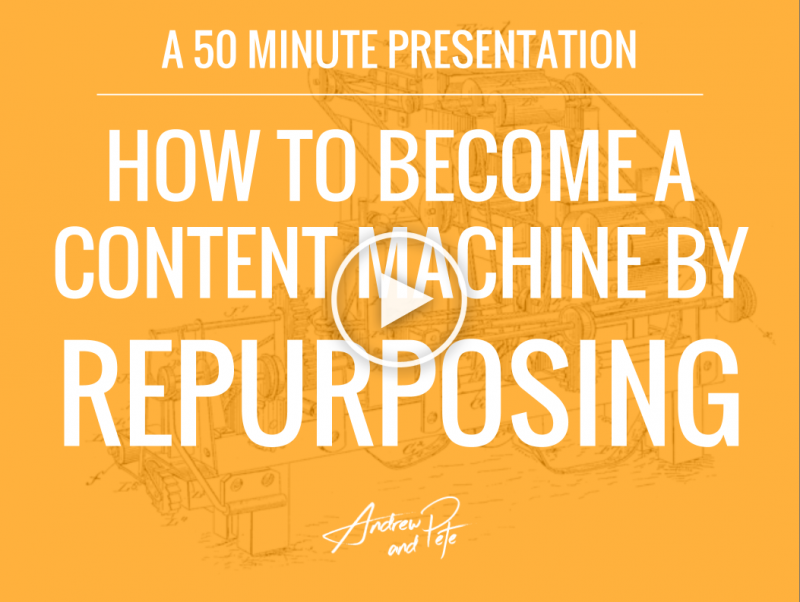 This is a 50 minute presentation where we go through 4 methods and 3 hacks of turning your old content into new repurposed content. Apply the principles in this, and you'll be creating better content in half the time. 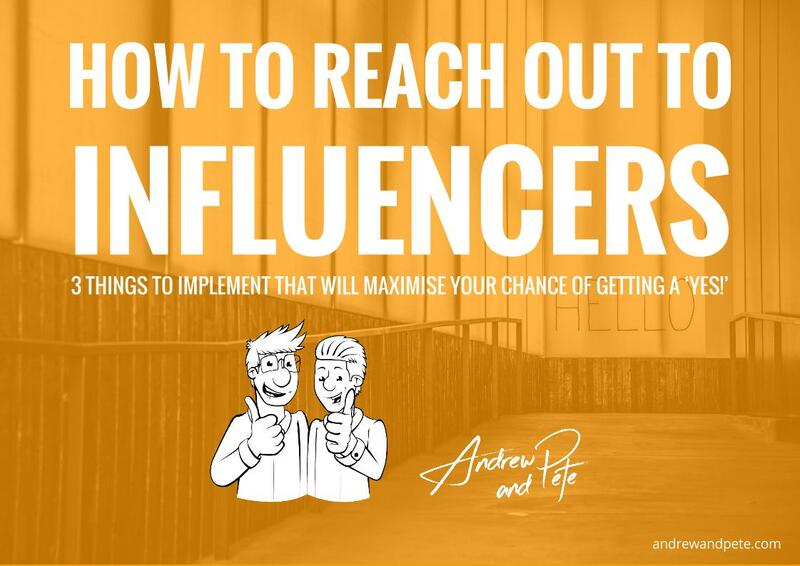 Collaboration is a fantastic way of growing your audience, but in order to make the most of it - you need to collaborate with influencers who have a bigger audience than you. We cover the 3 things we've learned you must have in place in order to maximise your chance of getting a YES! Start using Twitter properly for Marketing. Stop simply blasting out links and hashtags and become more strategic in using this powerful platform. 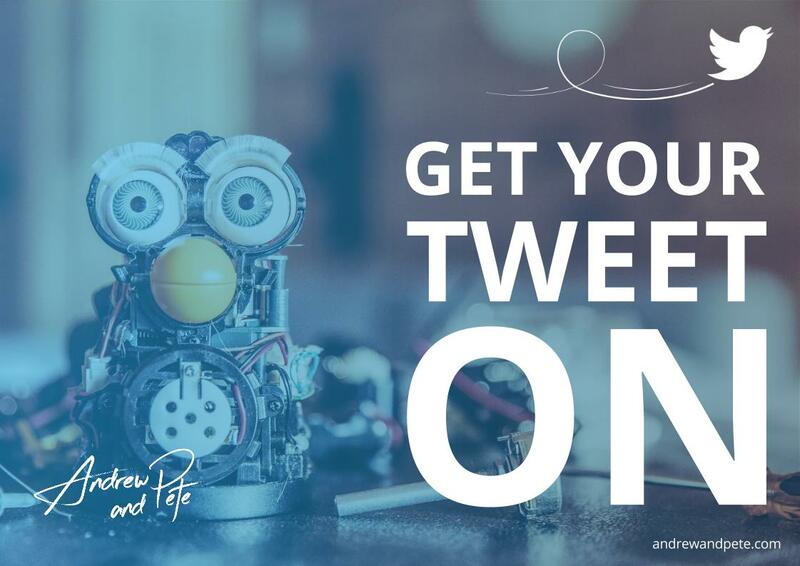 We love Twitter still, and this 40 page eBook outlines why and how we are using it. 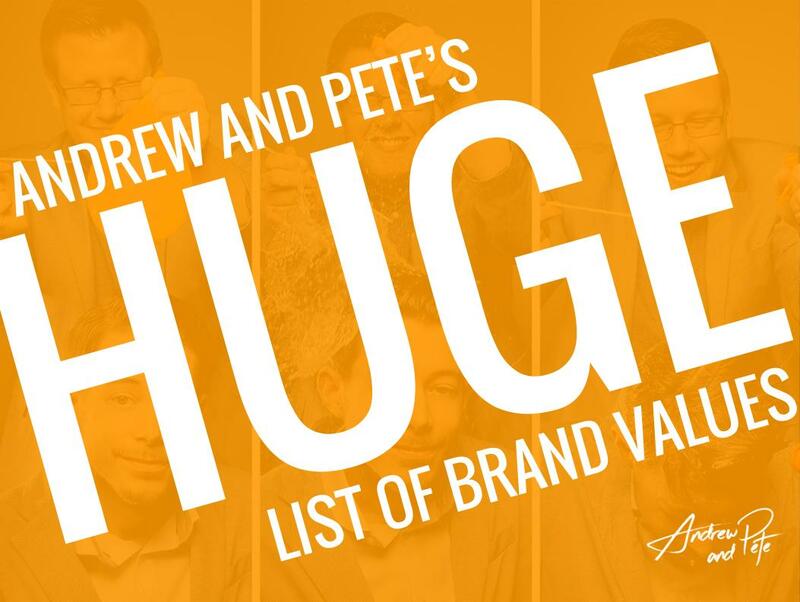 When getting started with building your brand, it's so important to know what your brand values are. However people often struggle thinking of original values. So here's 400+ to get inspiration from. Thinking of names of things is our idea of fun. Businesses, products, books, podcast, events etc. Getting the name right is crucial, and we love it. 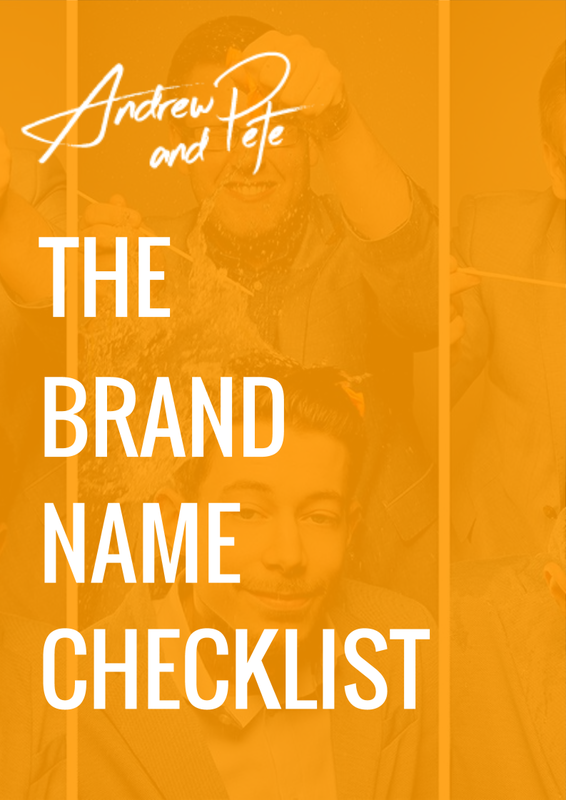 If you're thinking of your own brand name for something, here's a checklist we run every name by. 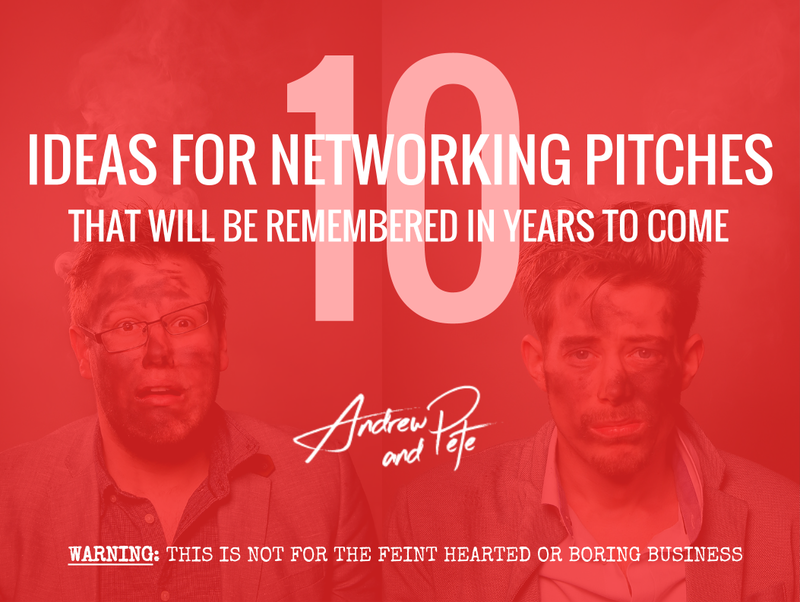 We run through our favourite networking pitches that we used to get instant business from networking, and YOU can steal them too. These are a little on the crazy side, so be warned. 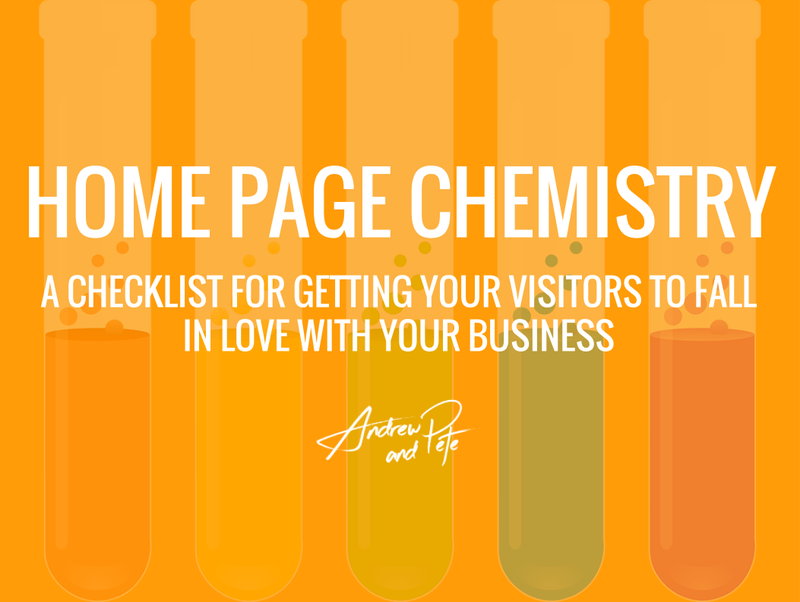 We've designed 100s of website Home Pages, and this checklist goes though all the things we think about, when designing a Home Page that converts visitors, and gets them falling in love with your business.